Waqas is a freelance journalist with experience in public safety, environmental and public policy reporting. He is a trained data journalist and has worked as a reporter for several news organisations in the US and Pakistan including The Express Tribune, the Scripps Howard News Service and the Columbia Missourian. His news reports and articles have also appeared in Scripps newspapers including the Knoxville News-Sentinel and the San Angelo Standard-Times. He is a Fulbright alum and a graduate of the Missouri School of Journalism. He is currently working as a journalism instructor at the Department of Mass Communication of the National University of Sciences and Technology in Islamabad, Pakistan. 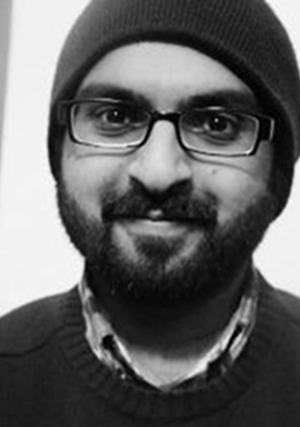 Waqas has been a member of DWL since 2009 and worked as Papercuts prose editor from 2011 to 2014. He is looking after DWL’s administrative affairs and its online workshop in his present capacity on the DWL team.